The first thing I did yesterday morning was to give the M5 what I imagine is a fairly typical weekly service: some fuel, a litre of TWS oil, and a pair of rear tyres. I failed to take the camera out with me for that trip, but it’s hardly photogenic stuff. I did consider getting Michelin Pilot Sports, but I couldn’t find them for less than £500 for the pair fitted, and I couldn’t find anywhere who could get them in stock in my size until February at the earliest. I therefore chose something rather more pikey: some Falkens. I’ve had Falkens on M3s in the past, and I found them to be quite reasonable. Certainly in the wet, these new Falkens offer rather more grip than the outgoing (very worn!) Michelins. Time will tell, but at £256 fitted there’s quite a difference in wallet ache. Once I got back I did remember to take some photographs of the M5’s interior as Paul Stewart requested some after the diff seal work. 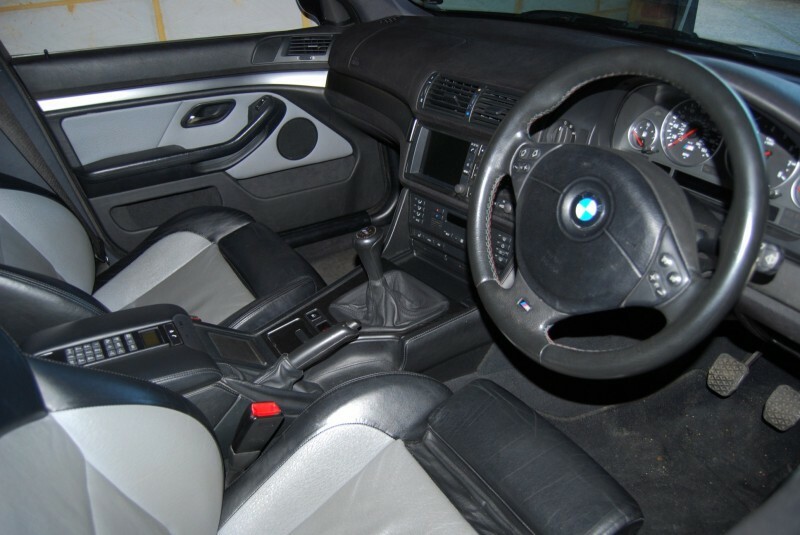 I really like the colour scheme – when searching for M5s I didn’t consider any other interiors! That complete I turned my attention to the 330d, which of course didn’t need fuel, oil or tyres. 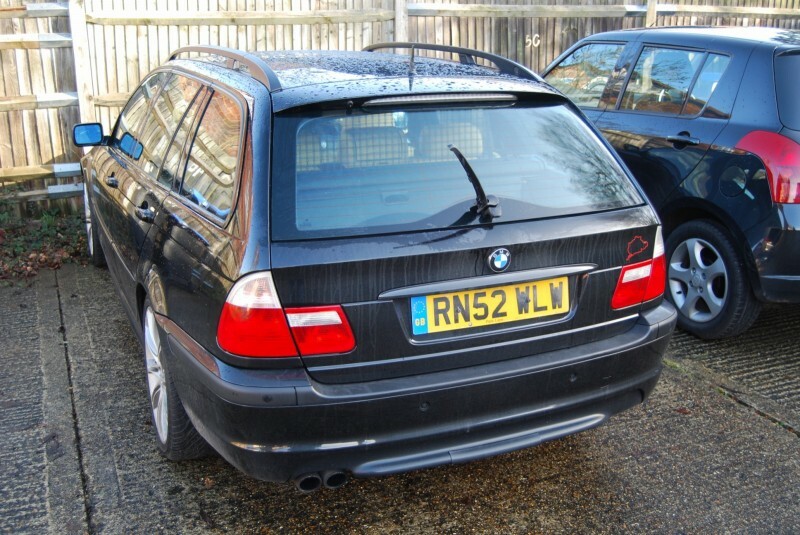 It did need a new rear wiper, an item I’d grabbed from BMW when I got the M5’s diff seals. So, after a minute of maintenance I was finished with both of my BMWs. My day however was far from complete! The other car in the family is a little Peugeot 106 Rallye. Diane’s had it for five years now, and a niggling problem has been some occasional hesitation in the mid-band when warm. I’ve made sure everything is clean and serviced, and have replaced the coolant temperature sensor, so yesterday I thought I’d try and replace the air temperature sensor too. The result? The car drives a little more smoothly, but the hesitation still randomly occurs when the engine is hot. 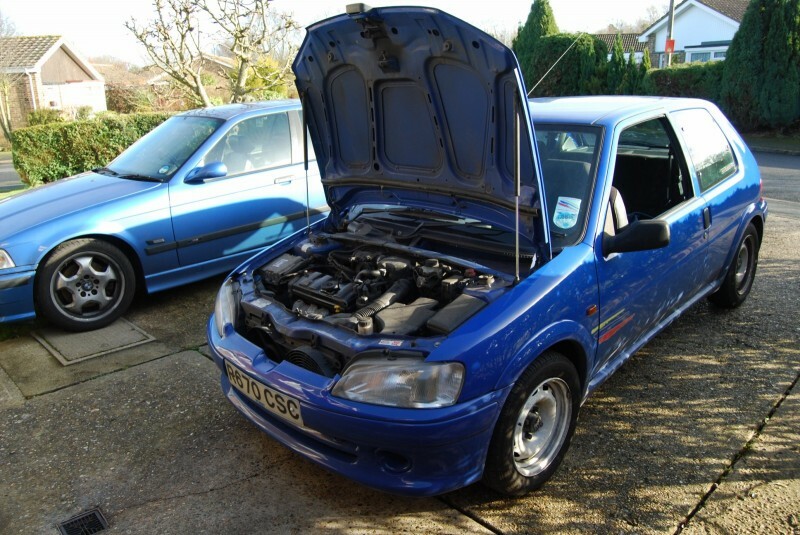 In any case, the car is due an MOT examination, so I replaced some failed bulbs and split wipers, and gave it the minor interval service that was due. 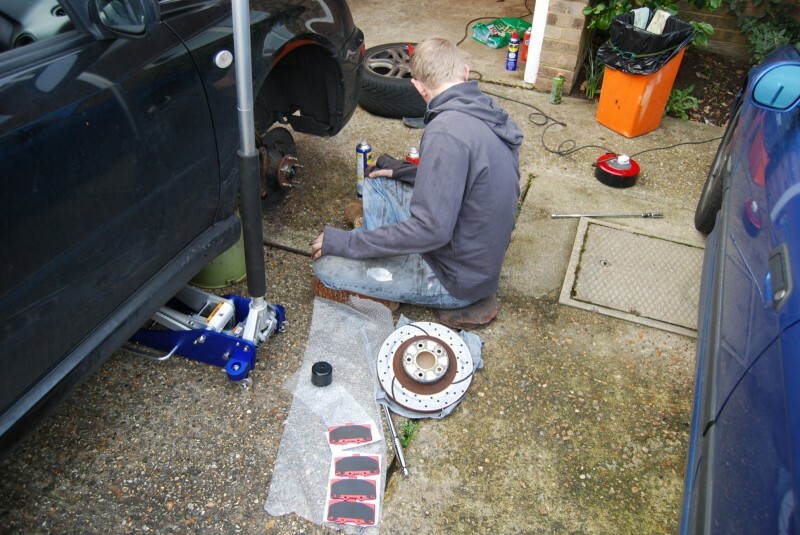 While I did this, Ben changed Chavbo1’s front brake pads. Finally we turned our attention to the M3 Evo that cut out on us on Thursday evening. I stuffed another 10 litres of BP’s Ultimate in there to ensure that fuel level wasn’t a problem. Prior to it letting us down, Ben has purchased some new spark plugs, so we fitted those and swapped the coil packs over from the old engine. Still the car wouldn’t start. A quick phone call to Ian Haynes gave us some further pointers to test the ‘spark’ side of the equation, and we deduced that the coil packs were alive and online. 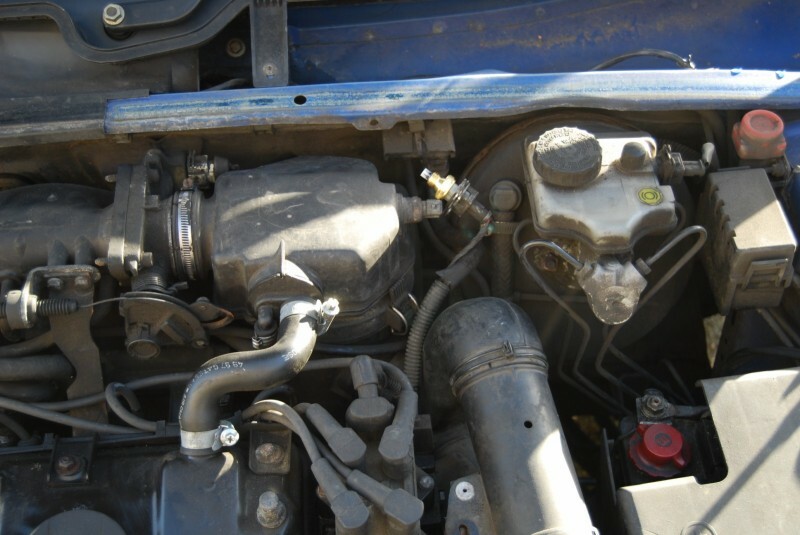 We are therefore in a situation where we know the immobiliser isn’t the problem, and there is fuel in the car, and the main fuel pump primes. It seems likely therefore that the ECU isn’t running the pump or sending spark signals while cranking, and this suggests it’s not getting a reading from the crank shaft sensor. If this is the case, it seems rather more likely that the wiring is knackered rather than sudden and permanently sensor failure. In either case, we’ve decided that the way forward is to remove the crank shaft sensor from the other block, and dismantle the car to check the wiring and swap the sensor. I’ve also purchased a diagnostic reading kit from eBay – more on what it is when and if it arrives and I can test it! 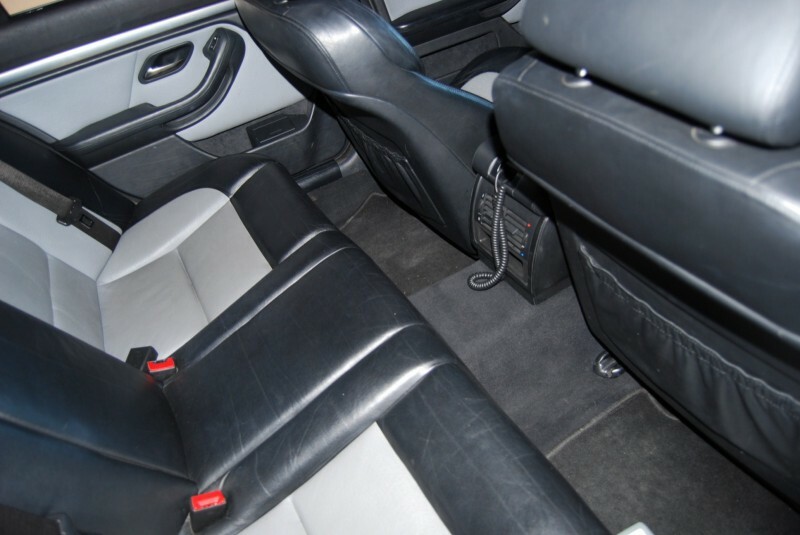 Always nice to see an interior shot. Thanks for listening.